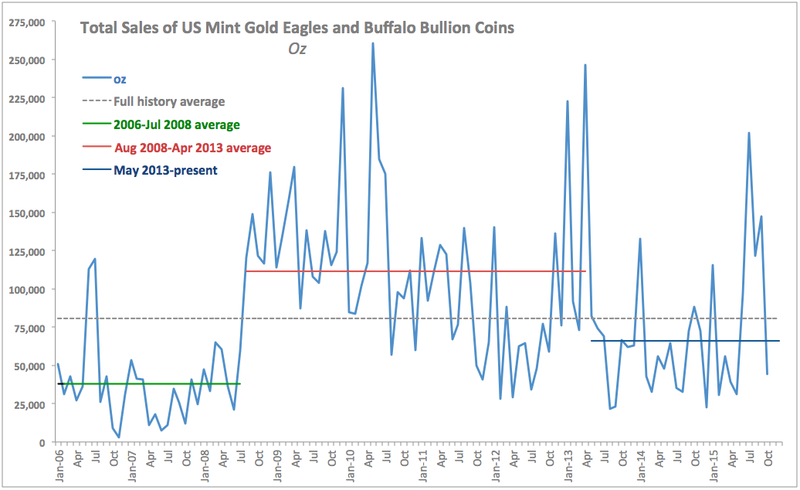 Total sales of U.S. Mint gold coins came in at 44,500 oz per 94,500 coins sold (including both Eagles and Buffalos). This marked a significant decline in sales y/y, with volume by weight down 49.7% y/y and the number of units sold down 33.7%. 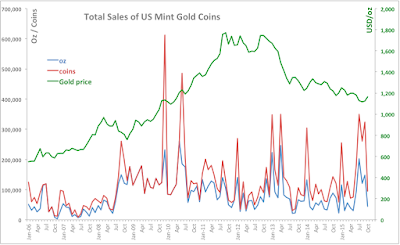 Average weight of coin sold was down 24.2% y/y to 0.4709 oz per coin. Not surprisingly, scale fall off in demand in October can be explained by the moderation in demand back to cyclical normal. As shown in the chart above, overall October sales figures came in below the period average for May 2013 through present. However, stripping out three main outlier peaks in demand, the average comes to 49,978 oz - closer to the October reading of 44,500 oz. In historical comparatives, demand for gold coins in October was 38th lowest by total weight and 56th lowest by coins counts for any month from January 2006 though present. Another point worth making is seasonality. 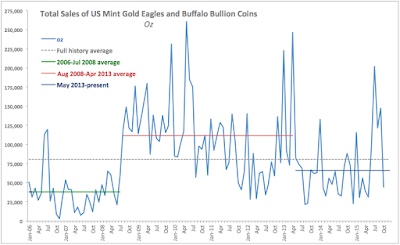 Over 2006-present horizon, October saw significant decline sin demand for gold coins in seven out of 10 years, with insignificant changes m/m recorded in one month. 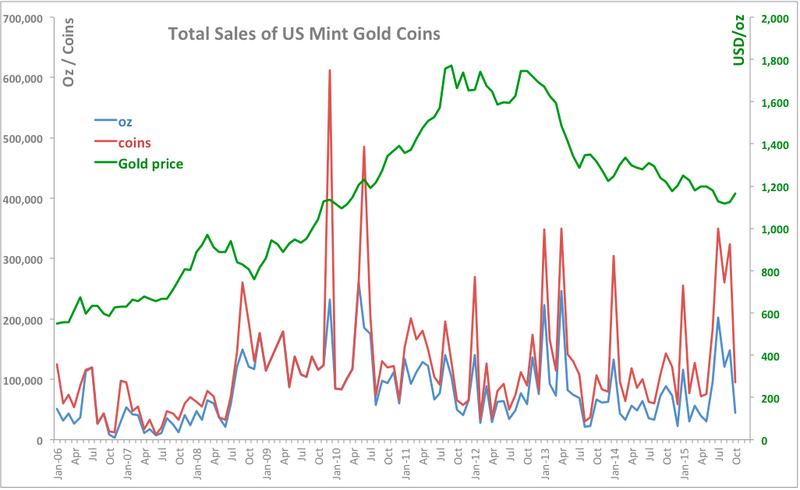 In other words, October tends to be a more bearish month of U.S. Mint coins sales.